A friday ritual. A single photo, capturing a moment of the week. A simple, special, extraordinary moment. A moment I want to pause, savor, and remember. 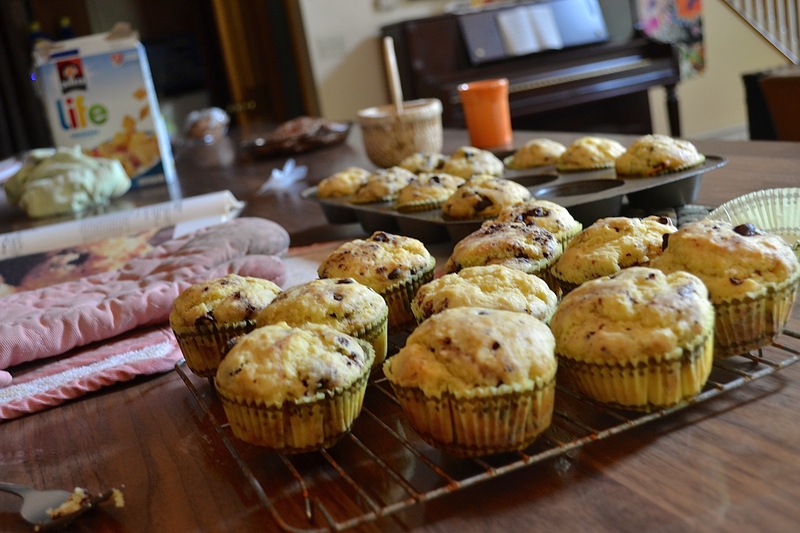 I made muffins this morning for the children. Seth (in picture up there ^^) requested chocolate chip muffins. I typically don’t care for chocolate chips in breads or pancakes, but I mixed up a batch of muffins, making a few changes to a favorite recipe. They turned out chocolatey from the chips, but not too sweet. The whole family liked them, including Rich, so I thought I would share the recipe with you in case you want to make them for Saturday breakfast. Preheat oven to 425. Line muffin tins with paper liners. Add all dry ingredients into a bowl and whisk together. In a separate bowl, miss together the wet ingredients thoroughly. Dig a well in the dry ingredients and pour in the milk. Stir until just mixed and no more…..then, add one and a half cups chocolate chips (fold into batter gently). Place batter into muffin liners with an muffin scoop. Bake 20-25 minutes or until done. (firm to the touch, lightly browned around edges, or a clean tester inserted into middle of a muffin). Let rest 10 minutes so the paper can be peeled off without sticking to muffin. They were so good that I sent Caleb up to the neighbors with four in a brown paper bag, wrapped in paper towel and still warm from the oven. 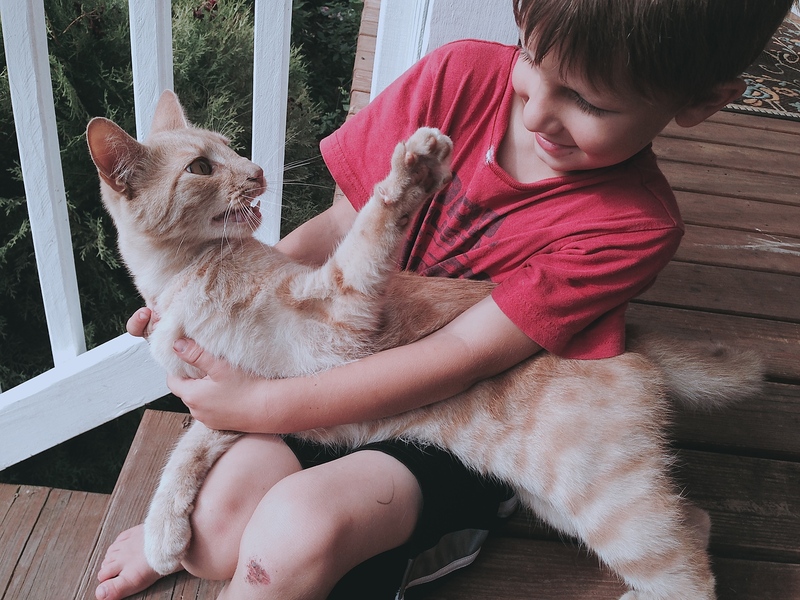 This entry was posted in food, moments and tagged cats, recipes, seth by Shanda. Bookmark the permalink. That looks like a very playful kitty. Enjoy your weekend. I agree I’d like to be your next door neighbor too if you deliver goodies often! Love the photo of the cat being loved 🙂 Miss your posts and pray all is going okay.